Jazz band SplitMinders started working in October 2002. The repertoire is based on originals by I. Božičević, arrangements of dalmatian folk songs, and pieces from the “lyric stream” of latino jazz (A.C. Jobim). The musicians playing in SplitMinders are: Dražen Bogdanović, saxophones; Ivan Božičević, keyboards; Nenad Bego, bass guitar; Boris Popov, percussion, Andrej Petković, drums, with poetic support by Erma Sotirova. 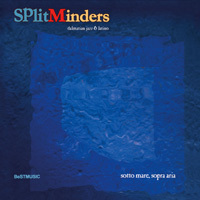 SplitMinders finished their first studio album entitled Sotto mare, sopra aria, published by the «Best Music» label. Seven instrumental tracks make the core of the album (six originals and an arrangement of Gibonni's "Tempera"). The beginning and the end of the album are rounded off by two vocal tracks, in which SplitMinders collaborated with singer and guitarist Tedi Spalato (“Splitski blues”) and dalmatian 'klapa' «Cambi» (“Svitlo jubavi”). The band performed successfully on stages across Croatia, especially at the Spring jazz revue in Zagreb, International Jazz & Blues Festival in Split, Art Jazz Festival in Makarska, Hvar culture summer, and the Festival in Kaštela. For SplitMinders booking information, please click here.